• 2016-10-02 • MURANAS MAHA sold to France! MURANAS MAHA sold to France! We congratulate the new Owner Aarque Arabians for the purchase from this wonderfull promissing filly! Congratulations the new Owner from Bahrein from EL ARBA. 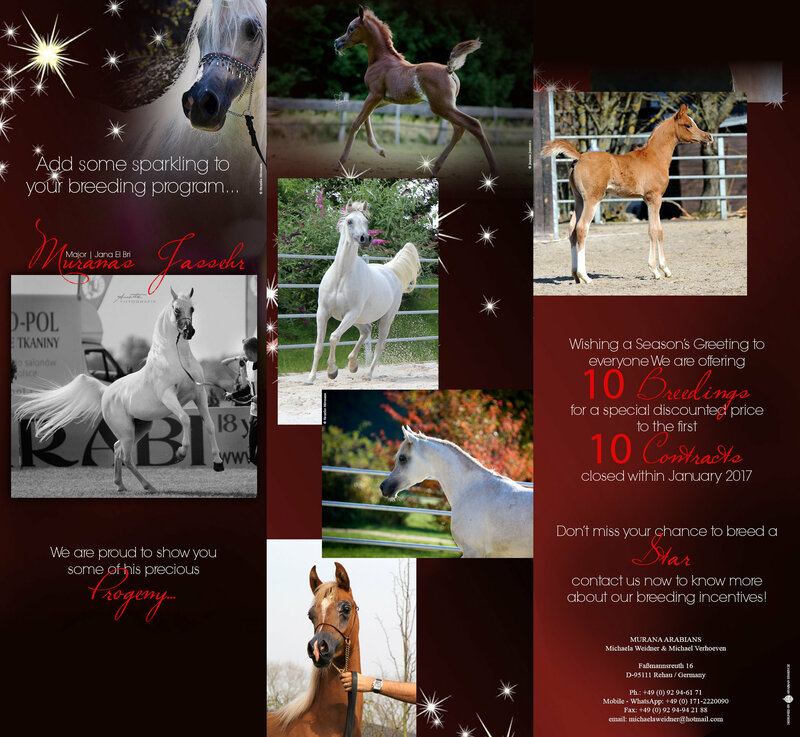 We wish you a lot of sucsess in the Showring and the Breedingbarn with this special Mare!